At one point in time, this was the most famous face in the world. I bet most people today, at least the ones under 50, couldn't guess who it is. It's Charles Lindbergh, who rose to fame in 1927 for being the first person to fly solo across the Atlantic Ocean. He achieved instant international recognition. Now I am willing to bet that NO ONE can identify the man in this picture, though his contribution to mankind was just as important (maybe even more so, if you've ever had or ever expect to have surgery). 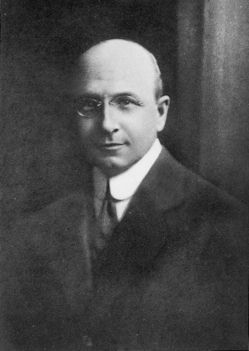 It's Nobel Prize winner Dr. Alexis Carrel. And what does famous aviator Charles Lindbergh and scientist Dr. Alexis Carrel have in common? Find out today at One o'clock, when we speak with David Friedman, author of The Immortalists: Charles Lindbergh, Dr. Alexis Carrel, and their Daring Quest to Live Forever. At one point in time, this was the most famous face in the world. I bet most people today, at least the ones under 50, couldn’t guess who it is. It’s Charles Lindbergh, who rose to fame in 1927 for being the first person to fly solo across the Atlantic Ocean. He achieved instant international recognition. Now I am willing to bet that NO ONE can identify the man in this picture, though his contribution to mankind was just as important (maybe even more so, if you’ve ever had or ever expect to have surgery). It’s Nobel Prize winner Dr. Alexis Carrel. And what does famous aviator Charles Lindbergh and scientist Dr. Alexis Carrel have in common? Find out today at One o’clock, when we speak with David Friedman, author of The Immortalists: Charles Lindbergh, Dr. Alexis Carrel, and their Daring Quest to Live Forever.